Courtesy of Lewis Pugh, United Nations, New York. 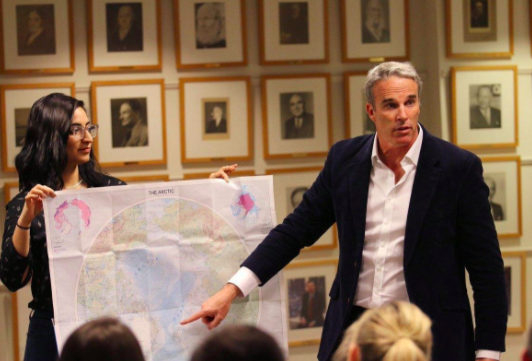 Lewis Pugh, the United Nations Environment Patron of the Oceans, recently gave a series of talks on the health of the planet's oceans. He explained what is currently happening and what is forecasted in the polar regions (north and south), and how it will impact all humanity around the world.